Yes, you’re not seeing wrong. This is an actual blog post. * From moi. 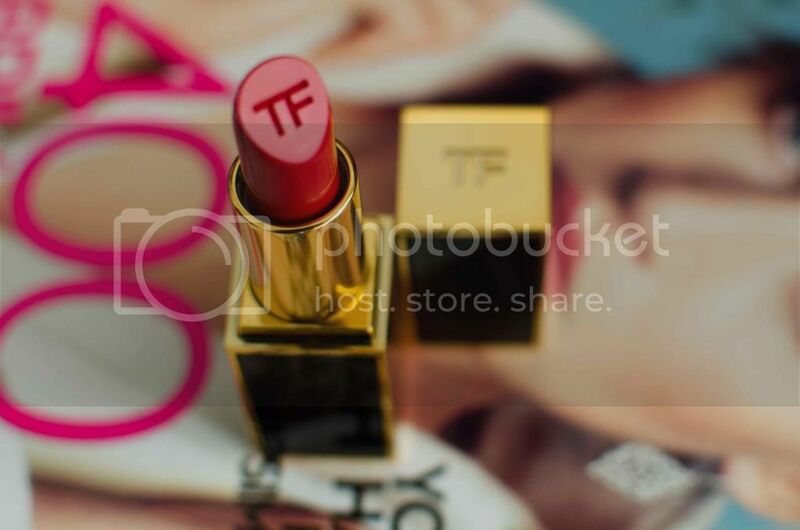 Because, you guys, I FINALLY HAVE A TOM FORD LIPSTICK OF MY VERY OWN!!! That’s definitely worth blogging about. So, behold: Tom Ford Matte Lipstick in Ruby Rush. It’s SO HARD to mess up that monogram…ie, use it! !